It began with a tiny little egg in my garden. A sweet discovery I've been waiting my whole life to see. 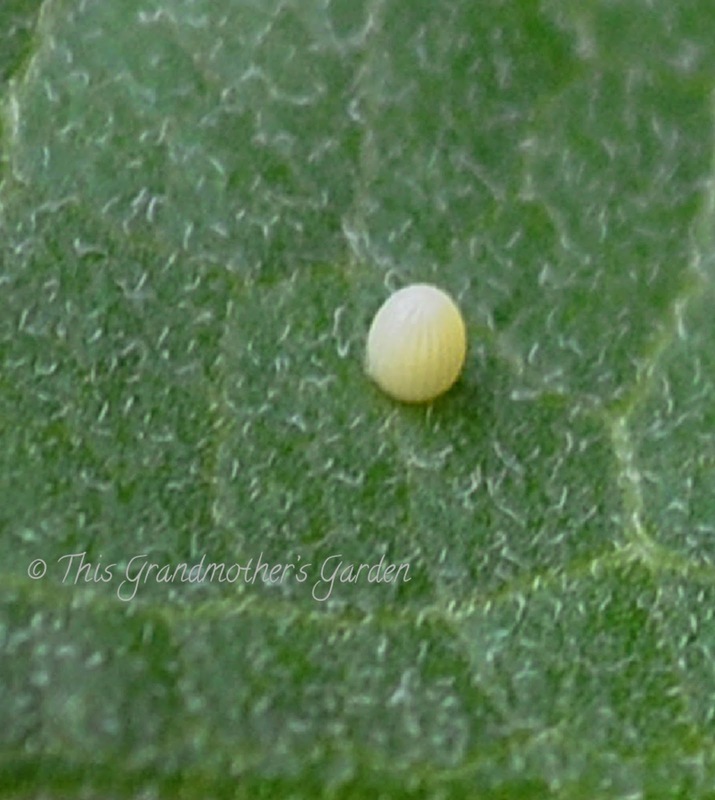 discovered in my very own garden. See the tiny vertical ridges? 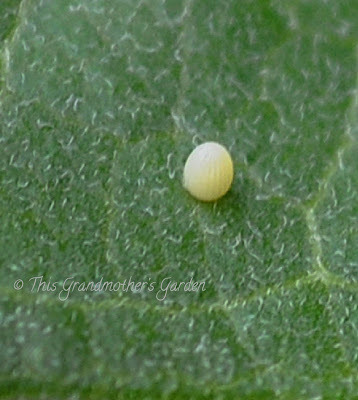 and it is just beginning to hatch. Welcome to our world little guy. He has doubled in size in just one day. if all you did was eat. that makes the caterpillar taste nasty. so they choose not to eat the caterpillars. Mother Nature's way of protecting them. to a find a larger size just waiting for him. he'll soon grow out of that as well. And he will... keep on eating. he grows bigger and bigger each day. 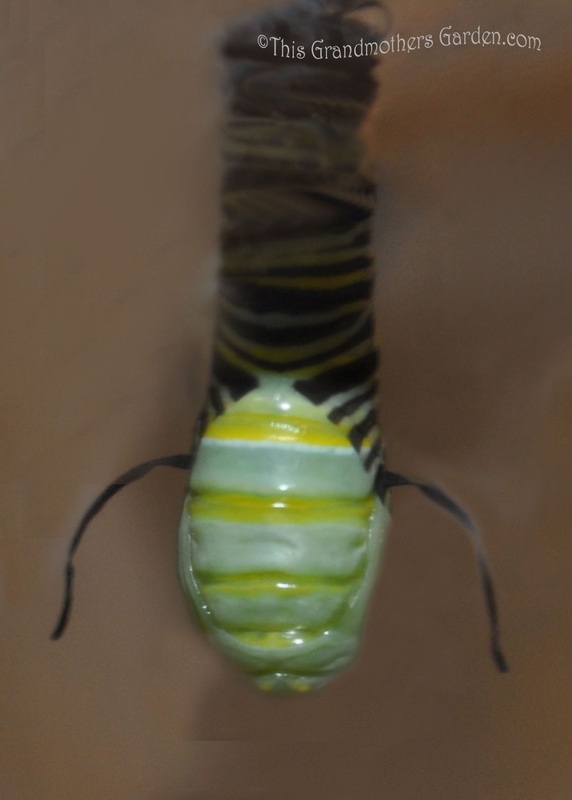 as he grows to be two inches long. He looks like the letter J as he lifts his head. shedding his skin for the last time. This time he looks very different. with golden jewels to adorn. *It's been several weeks since I last posted here and about that long since I've had time to visit blogging friends. Thank you to those who have sent notes asking if I was ok... I am. Life is good. Very good. My last little fledgling (# 8 of 8) just flew from our nest. I guess that makes us empty nesters. (Still trying to wrap my mind around that title.) I've known this stage of life was coming... just never took time to embrace the idea of it as it approached. Funny how life has a way of sneaking up on you. I've been blessed to be a stay at home mom for 37 years... so an empty nest is a major change in my life. Thankfully, I will forever be a mother, it is my greatest joy, but with the nest now empty, I can focus in a new direction. Still pondering... so many ideas... what to do, what to do. The miracle in this post began as we were in transition, boxing up my daughter's life to move to college... a vacation to celebrate her... helping her move into her first apartment four hours away. 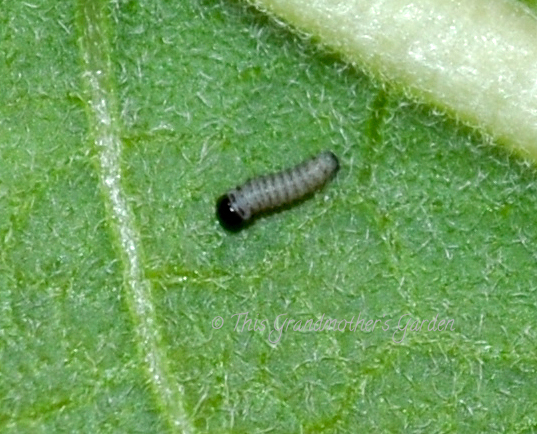 Many thanks to a couple of my kids who dropped in while we were gone to get fresh leaves for the caterpillars. (We actually had two.) Yes, my kids know their mother is a bit crazy. Really, who asks their children to babysit their caterpillars? Timed it just right, butterflies emerged a few days after we arrived home. Missed taking pics of every moment. 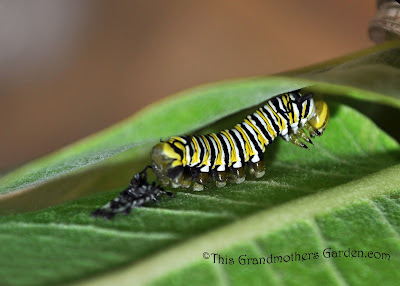 Added some to this post from several years ago when my sweet son in law brought home caterpillars for me to raise. Love that boy. You can read more about that adventure under the Butterfly label on the side bar. What a beautiful post! My husband and I became 'empty nesters' this year, too. It's weird but I'm enjoying the quiet and know that both of my kids are happy where they are. And all of mine are as well... isn't life grand? Nice! 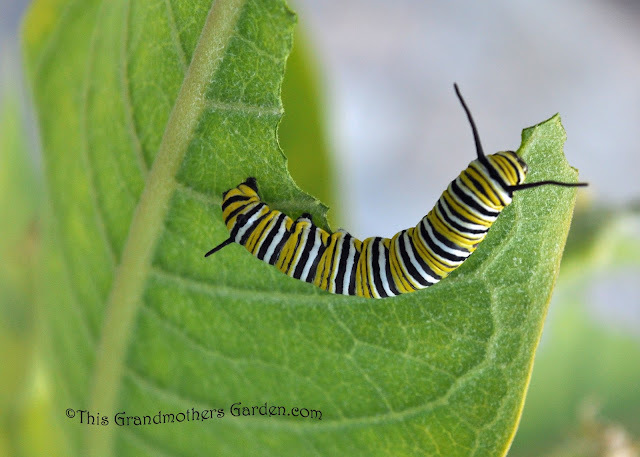 What a wonderful, hopeful post--about monarchs and about life. I'm a recent empty-nester, too. But as you know, the kids come back. Transitions are hard, but it's wonderful to see the kids become independent, thoughtful adults, isn't it?! So glad you enjoyed... thanks for visiting! I have enjoyed all of your posts, but this one is the best so far. 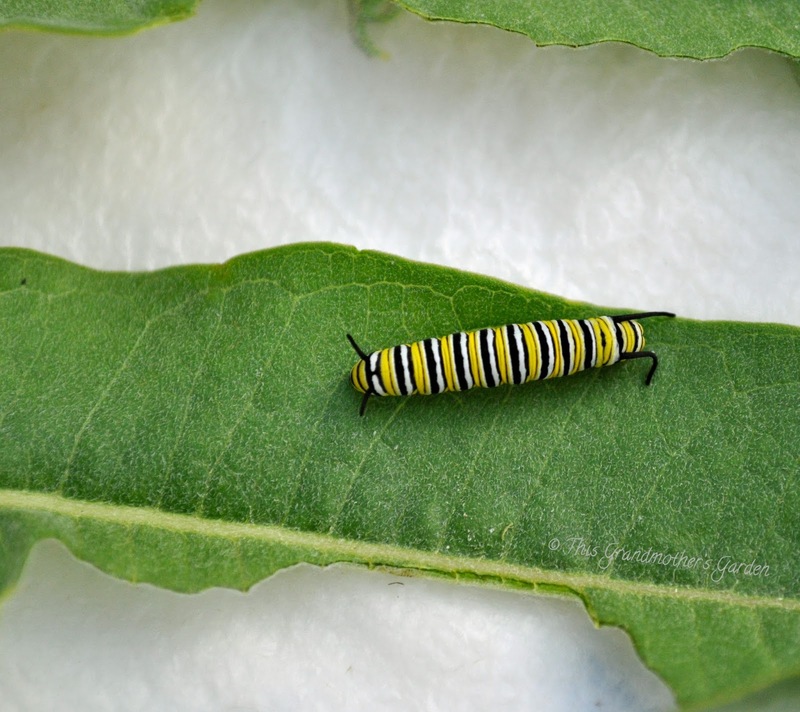 The children at Frankford Friends School (we are in Philadelphia and yes, it is a Quaker school, Nursery through 8th grade) have been raising monarchs this year. I am eager to share this with them to complement their own observations and records. Thanks! You make me smile... so glad you came and I'm thrilled that you want to share this with your school children. Thank you Beth. I feel very blessed... in sooo many ways. Amazing post! Thanks you so much for sharing this interesting transformation! You are most welcome, Katarina. 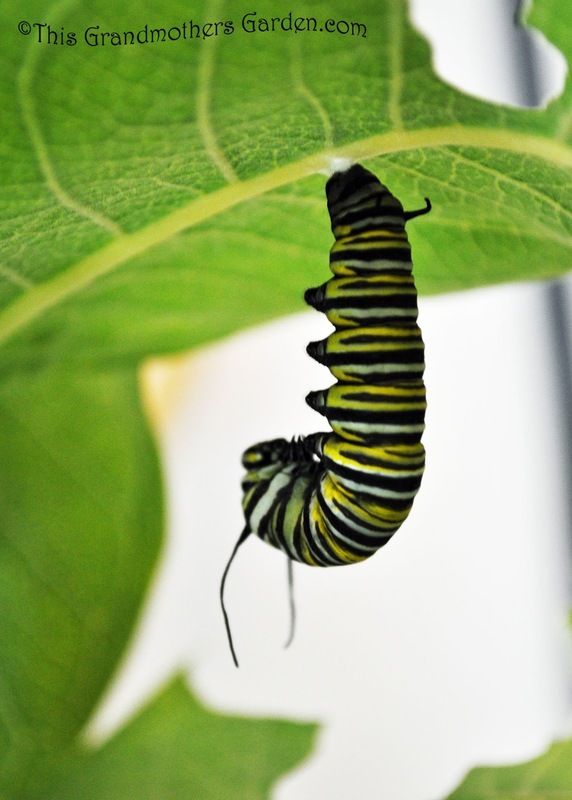 glad it's all good news, from caterpillars to kids. How special to have this lovely. 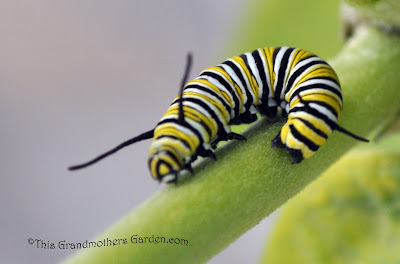 I had one monarch this year due to the extreme weather...perhaps the critters will help with the empty nest. 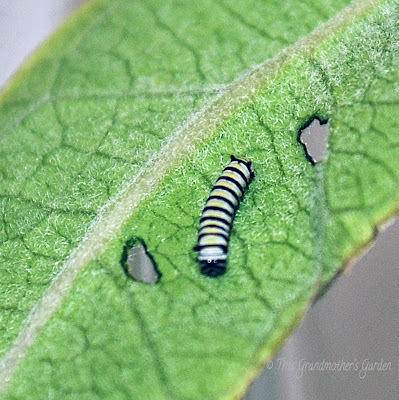 This was a banner year... we saw five monarchs this year... after none last year and one the year before. Carolyne, glad you are OK now, the life is kind, it's true. 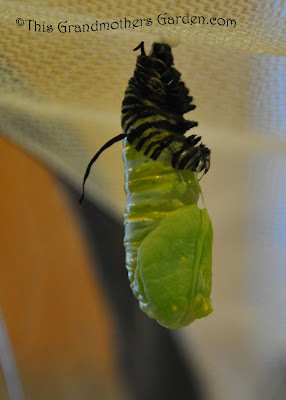 I love your pictures, what patience you have had to taking them at every moment of caterpillar changes! Thank you, Nadezda. Life really is good for me... not grumbling a bit, just regrouping. So glad you enjoy my images. This is an amazing photo essay! Thank you for sharing! Thank you Donna, I 've missed visiting you... here I come! Oh how exciting for you Carolyn and your photographs are such a great documentary of events so far. 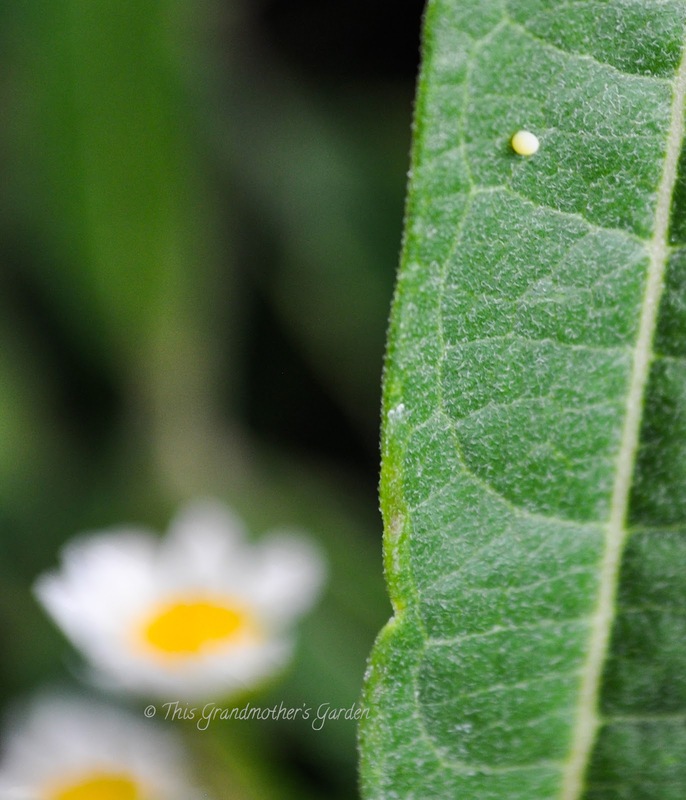 I once found some eggs and managed to photograph the caterpillars but then a storm came and a tree fell on top of the area and when it was cleared they had cleared the wild garlic plants that the caterpillars had been feeding on. Every year I still look for those eggs - one year I'll find more I'm sure :) I've had to go the same 'empty nester' feeling as you as we had another one fledge too though one is still at home. I've been checking those milkweeds every summer forever... you can imagine my delight at actually finding eggs. Hug your last "little one" every day... it will be all too soon before he flies as well. But really, isn't that what we really want? Good to see you back, and glad to hear that you are well. 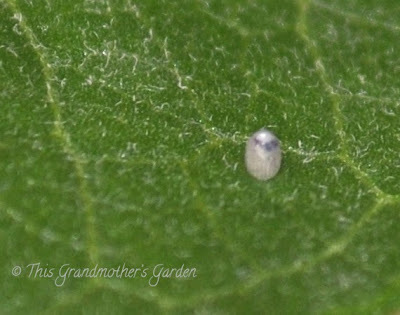 It's a beautiful miracle that you were fortunate to witness going on in your garden. Thank you, Jen. It was nice to visit you again. I have always dreamed of finding a monarch chrysalis in my garden, but even with my milkweed plants, I've never found one. Good luck with your finally empty nest, it's a curse and a blessing all at once. That has been my dream for so long... never give up, dreams do come true. Fantastic series of photos! I doubt I would have recognized the egg for what it was. 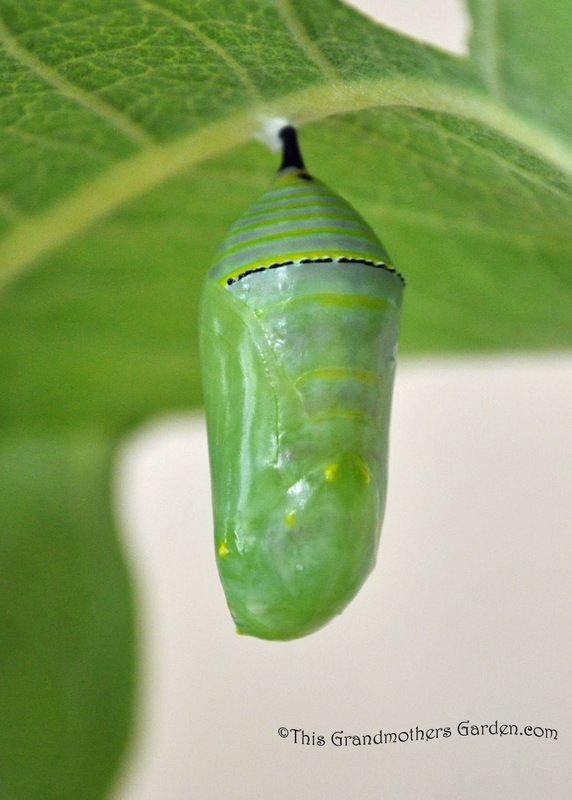 Congratulations, and I look forward to seeing the emerging butterfly! Congratulations! 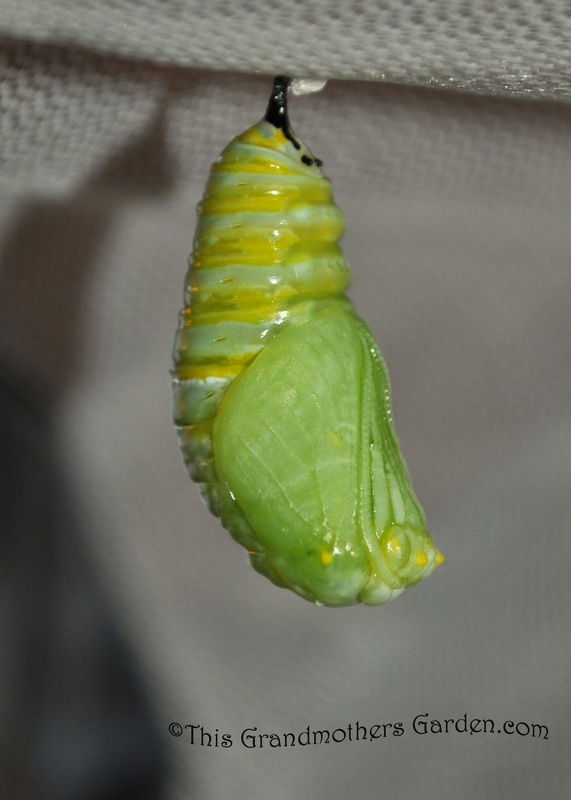 Its so amazing that you manage to document the whole metamorphosis. I just can't wait for the sequel and the finale. This is such a wonderful series of photographs. What a find in your own garden! Such a beautiful post, Carolyn. I'm so glad I got to see your photos. I tried this myself this summer...found 5 monarch cats on the milkweed. 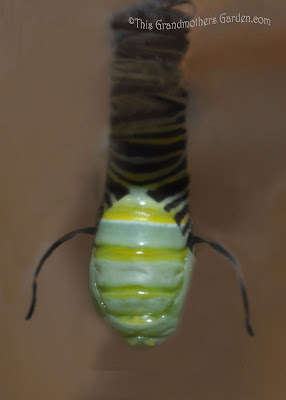 Unfortunately they didn't make it...something got them and they all died in the caterpillar phase. I remain hopeful I'll be able to witness the process eventually. I've been married nearly 37 years but still have a 16 yr old at home. Not sure how I'll cope when he eventually leaves. Know it will be difficult, but their independence is what we hope for all along.